What would be better than donning a trim fit, fully lined, high neck styling tuxedo with a three button approach, accompanied by comfy shirt, waistcoat, and trouser. 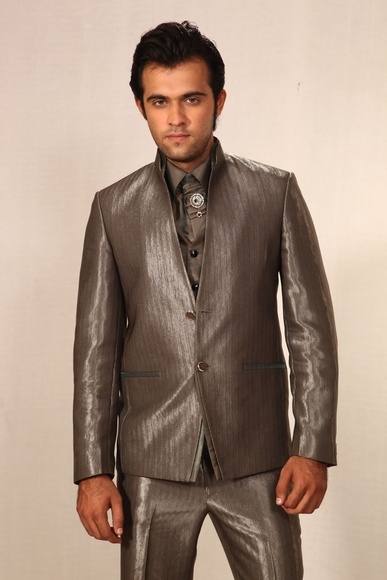 This tux comes with a double tone satin touch over its high neck styling and pockets. It is made trendier with its ensemble pocket square. The model (shoulder 19 inches, chest 40 inches, waist 34 inches, & hips 40 inches) is wearing a size 40. 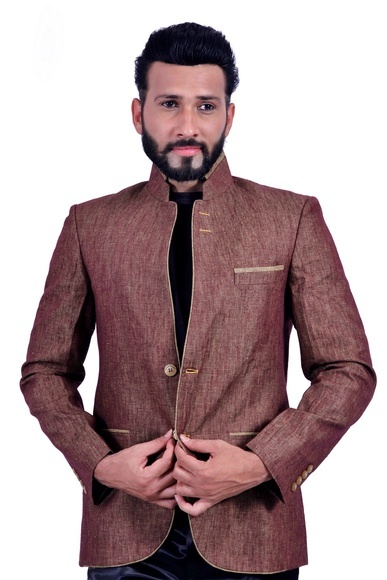 Comes with: blazer/coat, waistcoat, shirt, & trouser with the pattern selected by you. Shown here: blazer/coat, waistcoat, shirt, & slim fit pleatless trouser. 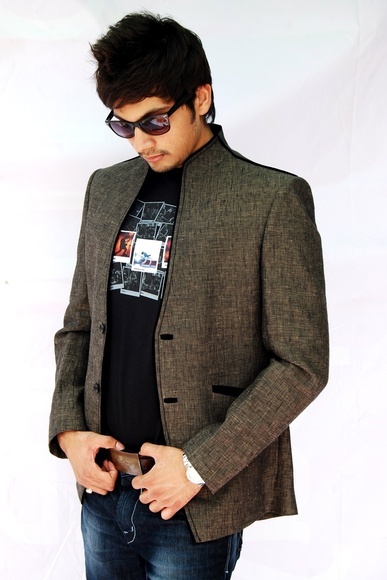 *Suits can be made as per your body measurement and with standard size. 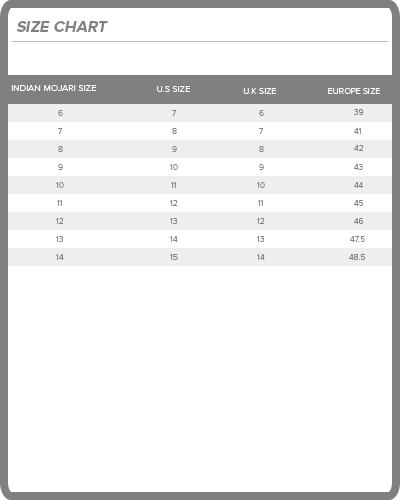 *Readymade garment will come with 3 to 4 inches of loosing from chest, stomach, & hips for comfort fit. The 3 to 4 inches of loosing in readymade garment is standard tailoring concept.